The annual madness that hits downtown Atlanta major hotels and surrounding area for a full four day weekend in the late Summer/early Fall. For years I had meant to attend, and now for two years I have been able to do that. In 2009 I went down by myself for the whole weekend and had a blast being able to meet folks such as John Schneider, Dwight Schultz, Lou Ferrigno, Kevin J. Anderson, Timothy Zahn, Michael Stackpole, Peter Mayhew, Patrick Stewart, Peter David and many, many others. I had such a good time that for 2010 I thought it would be nice to take the family down. My wife wasn’t too sure about going for the whole weekend, so we made a day trip out of this one for Friday which is the first day of the con. We had such a great time as a family that she wants us to book a room for next year so we can stay the whole weekend. During the day we were there, I made sure that I wanted to make sure I made my way to the Walk of Fame at least once. Once there, I got to see a lot of actors as I did the previous year, but what surprised me was the turnout of Star Trek actors. John DeLancie, Denise Crosby, Rene Auberjonois, Marina Sirtis, Jonathan Frakes, Armin Shimerman, Garrett Wang (who actually headed up the Star Trek part of the con this year), and many others. A few I got to talk with and shake their hands, and most were quite nice although one of the few I just mentioned was a little standoffish, but he may have just been having a long day of it. But that’s not who I want to talk about today. 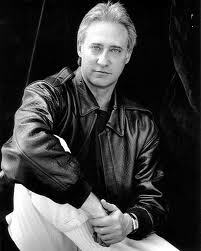 The one I want to talk about today is a man named Brent Spiner. 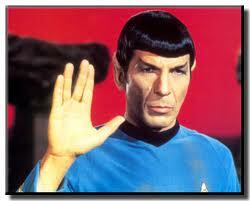 For those who for some reason are not familiar with Star Trek, he played the android Lt. Cmdr. Data on Star Trek: The Next Generation for seven years and in four feature films after the television series was over with. 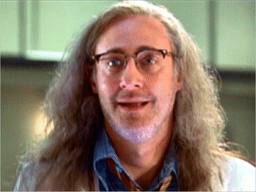 For some people, this is all they know him as, but he’s been in quite a number of other roles before and after Star Trek, such as guest shots on series such as Night Court and Hill Street Blues and later in films such as Independence Day and Dude, Where’s My Car?, and these are just scratching the surface. I want to say that my experience talking with Brent Spiner was a pleasurable one even though I was overwhelmed seeing all these Star Trek stars (I grew up on the classic Star Trek reruns and first run episodes of the spin off series such as Brent took part in), so I probably came off more goofy and word stumbly than I normally would. 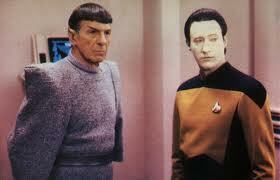 We talked about his role as Data and a few of the other things I had seen him in, but I did notice something that really got to me when I told him about a short story I had written. I mentioned to him about how I had written this Star Trek short story a few years back that I had no idea what to do with as Star Trek is property of Paramount and all, and I thought he might be interested in seeing it since it featured Data the character he had played and I offered to send it to him by e-mail. He sat back and used his hands for expression as he informed me that after seven seasons on the show and four feature films portraying the charater of Data that events such as Dragon*Con were as close to Star Trek as he wanted to be and that he really wasn’t interested in seeing it. Now don’t take that the wrong way. He was very nice about it and wasn’t rude at all. I believe he was being quite sincere and had no intention of just simply brushing me off. Indeed, by him explaining that, I got the distinct impression that he wasn’t simply brushing me off at all just because he didn’t have to say that. He could have just given me an e-mail address to send it to and then ignored it when it went to him. But his response got me to thinking about something. One has to wonder what kind of toll this sort of fame has to take on these people. And by “these people” I’m primarily talking about the actors from Star Trek, although other popular speculative TV and movie series could be true as well. 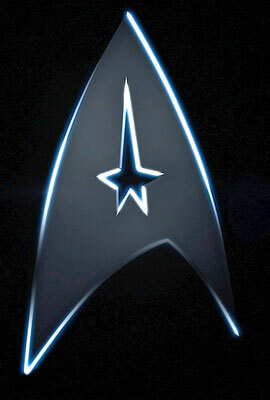 I remember when I was growing up and getting all into Star Trek, one of the things I did was read about the history of the show and what occurred with the actors. 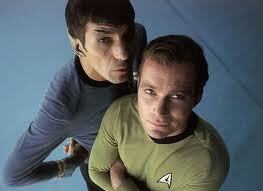 And by “the show”, I mean the classic original Star Trek that starred William Shatner and Leonard Nimoy. 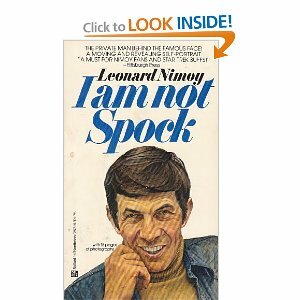 Leonard Nimoy was being called “Spock” everywhere he went so much that he had to write a book entitled “I Am Not Spock”. 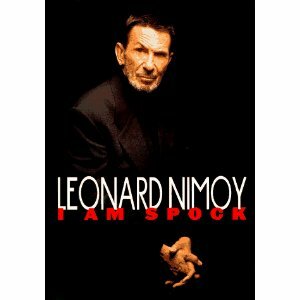 Later once he got used to the notoriety a bit more and relaxed more into the role with feature films and a reprisal of Spock on an episode of The Next Generation he wrote a book called “I Am Spock”, but that was much later. 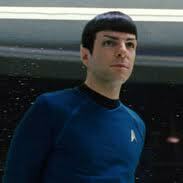 He even reprised the role one last time as a much older version in the recent reboot feature film simply called “Star Trek” that featured Zachary Quinto taking over the role of the much younger Spock. William Shatner is well known for when Star Trek conventions first took place and his apparent rudeness and lack of grace when fans approached him about minutiae that he had forgotten about. 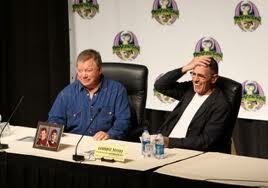 Shatner said later that he just didn’t get it. 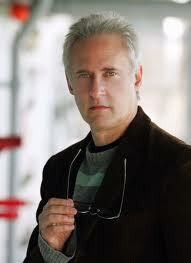 He played the role of Kirk but wasn’t a fan of the series. Later on, he got into it so much as a fan that when he played his final portrayal of Captain James T. Kirk in the film Star Trek Generations where Kirk dies, he was already writing novels in the Star Trek franchise that had Kirk surviving that “death” and has had many novels come out in sets of trilogies with Judith and Garfield Reeves-Stevens helping him with them. 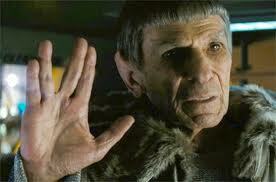 He typically teams Kirk up with Picard in some fashion or another which he knows is a real fan pleaser. So if the original crew of the first Star Trek series felt that way, indeed, how must the actors that portrayed the characters of the various spin-off series feel? They must be quite overwhelmed with it all as they move on with their lives in other projects as they keep getting called back for conventions to greet fans and what not. I know that when Brent Spiner was telling me how things like Dragon*Con were as close to Star Trek as he wants to be even though he was being quite nice about it I could hear in his voice the seriousness of what he was saying. 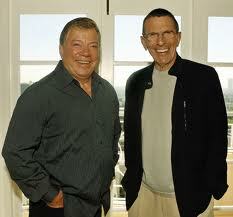 As I’ve only met him once and don’t know him personally, so I cannot say anything with definitiveness, I’ll just say that chances are he’s much like how Shatner and Nimoy were when they thought they were done with Star Trek in the 70’s and even when they started making feature films later on before they relaxed with it. They just saw it as them doing their job of acting and had no idea how it came across to the fans that had watched them even though they had enjoyed playing their characters. Now although I had known Brent had been in other roles onscreen (such as Night Court or Independence Day), until I came across his official site http://www.therealbrentspiner.com I was unaware of his musical and singing talents, although in retrospect it makes sense as he did get to use them in the rare episode of Trek. 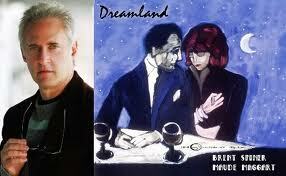 He’s got an album available that looks like something I just might get a copy of called Dreamland. For us as fans, we need to really treat these people that portray the characters we enjoy as the people they are and not the characters they portray and realize that they have lives outside of those characters. If you come up to them on the street or at a convention and geek out on them, they probably aren’t going to know what you’re talking about and will not likely be enjoying the encounter too much unless they just happen to be familiar enough with what you’re talking about and are a fan enough their own selves. For the actors that portray the characters, even if you aren’t “getting it” yet, or you are in that you know there are fans but you just aren’t a fan and simply saw it as a job you were doing, be as kind and gracious as you can with the fans that approach you. They may not fully understand, or even have yet to realize, that you’ve done things outside of that character, but if you’re nice to them they just might decide to look you up on the Internet as I did with Brent and find out some of the other things you either have done or are doing and get into them as well. So even though I got to talk with several famous people that day and had a couple of more encounters that got me thinking, my meeting with Brent Spiner was the main one that got me to pause and think about things even this morning as I looked back on that weekend a couple of months ago to the point where I wrote this blog entry and posted it this afternoon. I wish him well in his future pursuits, and if you would, go by his website and check out the other things he has done if the main thing you know him from is Star Trek. And if you happen to run into him at a convention or on the street, be sure to mention some of those other things he’s involved in as he’d probably appreciate it. 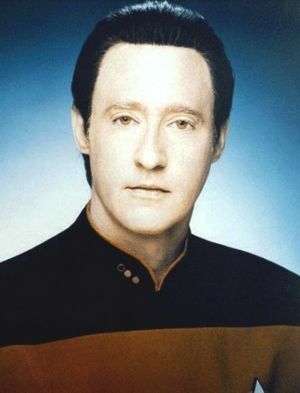 And if you happen to also mention that you liked him as Data, I’m sure he wouldn’t mind hearing that too, just remember that he does other things and try not to focus just on that. I’m sure he’ll appreciate it if you show interest in him as a person rather than just the character he portrayed. Indeed, I think this would be a good way to go in regards to most actors and famous people you meet and not just Brent Spiner. Beyond the Charts store is temporarily down. I’ve had to shut the store website of Beyond the Charts down for the foreseeable future. It will be back up after I’ve had a chance to do some things with it. Most are minor things, with only one major thing in mind. The look will be the same unless I find something outstanding to change it to that is not outrageously priced. Occasionally during this time I may put up temporary pages for special deals that will be available only for a limited time. It is my hope that once I have Beyond the Charts back up that it will be the online experience I was intending it to be when I launched it October of last year. I’m sorry if this disappoints anyone, as my time battling the shopping cart system I originally installed wasn’t what I was after when I started this and has greatly disappointed me too. Rest assured that Beyond the Charts has not gone away entirely, and that the best is yet to come! So it’s been almost a couple of months since I did a Blog entry on here. Sorry for the delay. And my last entry said I was going to add products to the main site, but you’ve probably noticed that didn’t happen. Basically, the Shopping Cart is still giving out problems. So changes need to be made.